Translating a Mayo Clinic stem-cell discovery, an international team has demonstrated that therapy with cardiopoietic (cardiogenically-instructed) or “smart” stem cells can improve heart health for people suffering from heart failure. This is the first application in patients of lineage-guided stem cells for targeted regeneration of a failing organ, paving the way to development of next generation regenerative medicine solutions. Results of the clinical trial appear online of the Journal of the American College of Cardiology. The multi-center, randomized Cardiopoietic stem cell therapy in heart failure (C-CURE) trial involved heart failure patients from Belgium, Switzerland and Serbia. Patients in the control group received standard care for heart failure in accordance with established guidelines. Patients in the cell therapy arm received, in addition to standard care, cardiopoietic stem cells — a first-in-class biotherapeutic. In this process, bone marrow was harvested from the top of the patient’s hip, and isolated stem cells were treated with a protein cocktail to replicate natural cues of heart development. Derived cardiopoietic stem cells were then injected into the patient’s heart. Every patient in the stem cell treatment group improved. Heart pumping function improved in each patient within six months following cardiopoietic stem cell treatment. In addition, patients experienced improved fitness and were able to walk longer distances than before stem cell therapy. “The benefit to patients who received cardiopoietic stem cell therapy was significant,” Dr. Terzic says. The science supporting this trial is a product of a decade-long journey in decoding principles of stem cell-based heart repair. “Discovery of rare stem cells that could inherently promote heart regeneration provided a critical clue. In following this natural blueprint, we further developed the know-how needed to convert patient-derived stem cells into cells that can reliably repair a failing heart,” says Dr. Terzic, underscoring the team effort in this endeavor. Initial discovery led to the identification of hundreds of proteins involved in cardiogenesis, or the heart development process. 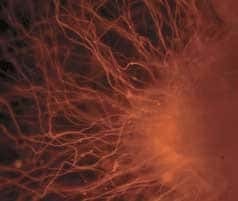 The research team then identified which proteins are necessary in helping a stem cell become a reparative cell type, leading to development of a protein cocktail-based procedure that orients stem cells for heart repair. Such upgraded stem cells are called cardiopoietic or heart creative. Mayo Clinic partnered with Cardio3 Biosciences, a bioscience company in Mont-Saint-Guibert, Belgium, for advanced product development, manufacturing scale-up, and clinical trial execution. Mayo Clinic and Dr. Terzic have a financial interest related to technology in this research program. Dr. Terzic is the Marriott Family Professor of Cardiovascular Research.